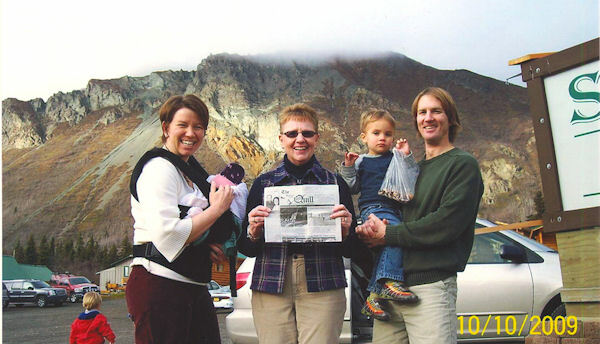 Peggy West of Biggsville took "The Quill" along when she visited her niece Marci Cornell (Jacobs) and her husband Matt and children Keaton (3) and newborn baby girl Quincy in Anchorage, Alaska in October 2009. When you go on a trip, take "The Quill" along and have your picture taken with it, then send it to us. Let's see where all "The Quill" can travel.